Phoebe is a Principal Engineer and Project Manager at SC Solutions, an engineering consulting firm specializing in numerical modeling and performance evaluation of complex structural-geotechnical systems of major infrastructures subjected to extreme loads, in the transportation, nuclear, water, and oil & gas industries. Phoebe has over 20 years of experience in structural design and earthquake engineering, with projects ranging from large buried reservoirs to standard and major bridges, tunnels, transit stations and wharf structures. 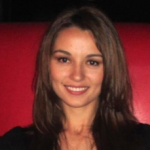 Before joining SC Solutions, Phoebe was a structural designer at AECOM, HDR and Parsons Brinckerhoff (WSP). Phoebe has a MS in Civil Engineering from Massachusetts Institute of Technology, and a BS in Civil Engineering from University of California, Berkeley. 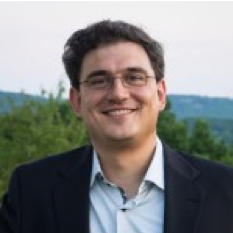 Vladimir is a Senior Engineer at InfraTerra, a consulting firm based in San Francisco, specializing in seismic reliability assessment and seismic resistant design of buildings as well as large infrastructure projects, primarily water, gas, and electricity transmission systems. Before joining InfraTerra, Vladimir was at UC Berkeley busy with coursework and research on seismic isolation for his MS and PhD degrees. His PhD research focused on seismic isolation of tall buildings at near-fault sites, while his MS research involved shake table testing of seismically-isolated liquid storage tanks. Vladimir’s undergraduate Alma Mater is the University of Illinois at Urbana‐Champaign. 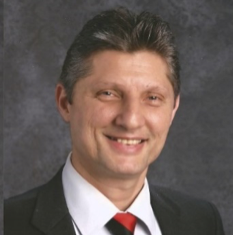 In addition to serving as the Marketing Director for the San Francisco Chapter of ASCE Structural Engineering Institute (SEI), Vladimir is also the 2017-2018 Chair for the SEAONC Disaster Emergency Services (DES) committee. Edward is an in-service bridge inspector for the California Department of Transportation (Caltrans) and has been with Caltrans for 10 years. Edward performs field structural investigations of the seven state-owned Toll Bridges in the SF Bay Area, and is currently the Lead In-Service Bridge Inspector for the San Francisco-Oakland Bay Bridge East Span. Previously, Edward had worked as a structural designer for Skidmore Owings & Merrill and Obayashi Corporation (Tokyo, Japan), and as a program manager for product application development at Liquid Software and Risk Management Solutions. 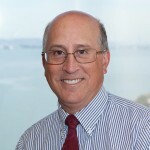 Edward is a California licensed professional civil engineer, and holds certificates for Safety Inspection of In-Service Bridges, Fracture Critical Inspection Techniques for Steel Bridges, and Caltrans Rope Access and Fall Protection Trainer. Edward has a MS in Civil/Structural Engineering from Stanford University, and a BS in Civil Engineering from CSU, Northridge. Edward is also the Co-Chair for the Bridges Technical Committee for the 2019 California Infrastructure Report Card, Co-Chair for the 5th Orthotropic Bridge Conference, and a member of the SEAONC Disaster Emergency Services (DES) committee. Edward balances his passion for bridge inspection with a co-passion for cycling, running, and Japanese Language. Anna is a Design Engineer at FTF Engineering, Inc., working on projects that include high-end residential additions and expansions, commercial space tenant improvements and seismic retrofit of existing structures. Before joining FTF Engineering, she worked for DeSimone Consulting Engineers. Anna has a BS degree in Civil Engineering from CSU, Northridge and a MS Degree in Civil Engineering with emphasis on Structural Engineering from Stanford University. Her goal as Inter-Organization Director is to facilitate a close working relationship between professional engineering organizations. Anna is a member of ASCE, SEI, Tau Beta Pi and SEAOC. 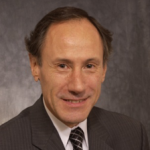 Brian is a Structural Engineer with Wiss, Janney, Elstner Associates, Inc., (WJE) and has been with WJE for more than 30 years. He has a BS degree in Civil Engineering from Northwestern University and a MS degree in Civil Engineering from the University of California, Berkeley. He is a licensed Civil and Structural Engineer in California and a licensed Structural Engineer in Oregon, Utah, and Hawaii. 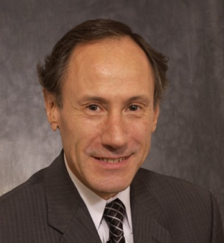 Brian is active in ASCE, ACI, and EERI, a Fellow of ASCE, and a member of the steering committee for the ASCE Standards Committee on Seismic Rehabilitation of Existing Buildings that developed ASCE 41-13. He has also participated in the update of seismic provisions of ASCE 7-16. Brian is experienced in investigating and designing repairs for structures that have been impacted by or have deteriorated as a result of other catastrophes such as fires, corrosion, wood decay, or cracking. He has assessed structural damage to buildings in the United States and abroad after major earthquakes and has designed repairs for buildings constructed of unreinforced masonry, wood, concrete, and steel. Brian participated in several ATC research projects including ATC-43 for the development of guidelines for evaluation and repair of earthquake damage to concrete and masonry wall buildings, which produced FEMA 306, 307, and 308, and ATC 71 for the update of the guidelines for Rapid Visual Screening of Buildings (FEMA P-154 and P-155). He was a member of the ASCE/SEI reconnaissance teams that visited Christchurch following the 2010 and 2011 earthquakes. Shanshan is a structural designer in Berkshire Hathaway Specialty Insurance. 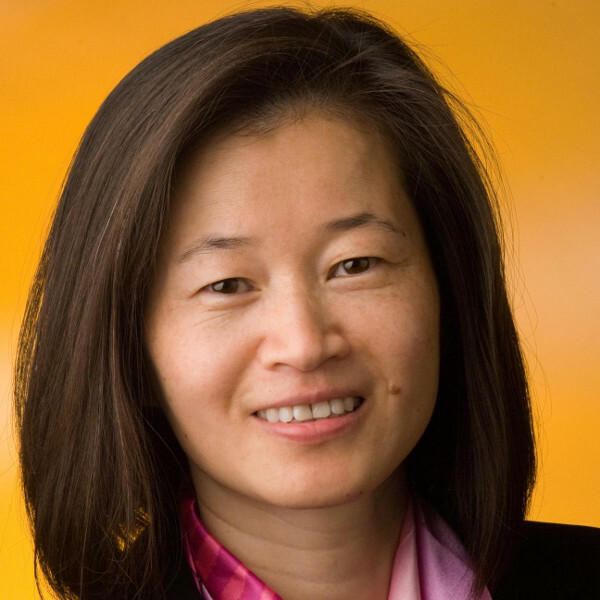 Shanshan recently graduated from the University of California, Berkeley with a PhD in Structural Engineering. Her research, with Professor Steve Mahin, focused on the seismic performance of tall steel buildings and the application of fluid dampers in building structures. 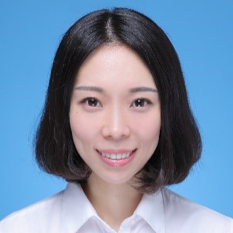 Shanshan is originally from China, and holds a BS in Civil Engineering from Tongji University. In her spare time, Shanshan enjoys exercise, yoga, and photography. Francisco is a structural designer specializing in earthquake engineering. Francisco has a BS and MS degrees from the University of Chile and a PhD from the University of California, Berkeley. 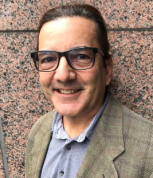 Francisco has his own consulting firm to help clients with their seismic retrofit projects. Francisco has worked on diverse projects, including the seismic retrofit design of the State’s Twin Towers in Sacramento with a massive energy dissipation system, including his own sliding cross brace design, and development of tools and models to assess Chile’s seismic hazard and financial risk. Francisco balances his engineering work with running, traveling, eating different foods, and photography. Mark Bird is a structural designer specializing in curtainwall and cladding systems for commercial buildings. Mark has a BS degree (1993) and a MS Degree (1998) in Civil Engineering from Texas Tech University. 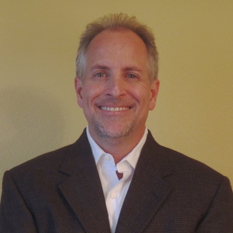 Mark began his career in Dallas, Texas with Design Engineering and Consulting (DEC) where he worked as a design engineer for nine years. During that time Brian worked on several projects in Hong Kong, Beijing and Manila that required him to relocate overseas for a year. Mark has extensive experience with high-rise commercial buildings in high wind and high seismic regions. In 2004 Mark started his own consulting firm, Wesley Engineering Group, Inc. in San Antonio, Texas. In 2013 he added an office in Walnut Creek and relocated to California. Mark is a member of ASCE, SEI, the Glass Association of North America (GANA) and SEAOC. Amin is the founder of Padir Consulting Engineers, a structural engineering firm established in San Jose in 2016. Previously, Amin was the CEO of Pars Padir Inc. from 1994-2011, with international structural engineering experience of buildings, offshore platforms, bridges and industrial projects. Jeffrey (Jeff) is a Senior (Structural) Project Manager for Partner Engineering and Science, Inc. He performs structural calculations in support of building investigations (due diligence analysis for probable maximum loss studies, performance risk modelling and performance-based seismic evaluations) and is in responsible charge of structural retrofit design projects. Besides his current involvement in the SEI of ASCE San Francisco Chapter Jeff is active in the non-ductile concrete Subcommittee of the Existing Building Committee of the Structural Engineers Association of Northern California, as well as a Structural Specialist (Responder) with FEMA National Urban Search and Rescue Operations California Task Force 3 in Menlo Park, CA. Past involvement in ASCE has included Presidency of the Cal Poly SLO Society of Civil Engineers (1992-93), recipient of Young Engineer of the Year from both the Orange County and San Bernardino Chapters, and was published in Civil Engineering Magazine, June 2001 for his article ‘Speeding Across Spain’ documenting aspects of the construction of Spain’s bullet train. Jeff has a Master of Science in Civil/Structural Engineering from Stanford University, and a Bachelor of Science in Civil Engineering from Cal Poly, San Luis Obispo.